*SO* much about project success is dependent on communication that we love to have communication experts on the show. Today’s guests, authors of the new book, “How to avoid a huge Leadersh*t,” will talk us through practical methods and examples for how to use narrative to effectively communicate – from introducing yourself to a group of people, to trying to justify projects and get stakeholder buy-in. 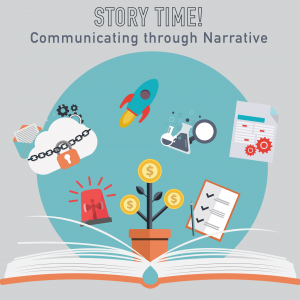 We all relate to stories, so it’s only natural to communicate with them! Stephanie M Taglianetti, MFA, is an Italian-American writer from Long Island, NY. She has studied creative writing at the distinguished California Institute of the Arts, earning her Master’s degree. Her specialized work in storytelling has pointed her career towards professional screenwriting, copywriting, and education. Outside of her career, she focuses on painting, singing, and guitar. Brian M Harman, MBA, is an American businessman that has been working in corporate leadership and supply chain management since 2004. He has studied global finance and management science at the University of Oxford and Pepperdine University, earning his MBA degree and currently finishing his PhD in Global Leadership and Change. His specialized work in strategic sourcing, negotiation, and leadership has driven his career in biotechnology. Outside of his corporate career, he is a Professor at San Francisco’s Golden Gate University and Universidad ESAN’s Graduate School of Business in Lima, Peru. His research focus is leadership psychology and humor. This topic contains 2 replies, has 2 voices, and was last updated by 9 months, 1 week ago. Just listened to 016-Story Time! 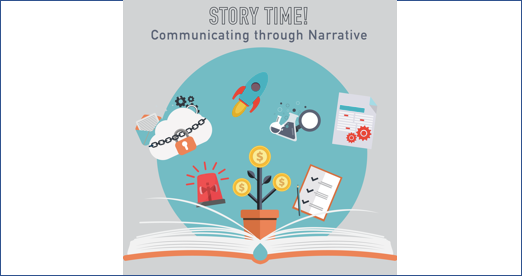 Better communication through narrative and found it very good! Do you know when the Quiz will be available? I have been wanting to try out the PM Toastmasters in Phoenix, and this just encourages me to do so even more! Oops, yes, I should have updated that – we had the quiz out long ago. You should be able to get to all the quizzes from the “Course” link on the menu bar. We’re also going back now and adding links to all our post topics, so it’s easy to link directly to the quiz. To make it easy, here you go!